Disclosure: I received 4 cars for review from Modarri. All opinions are my own. Mason loves cars. He makes the sounds effects with his mouth and fills his backpack to the brim with them. It's interesting because Kenzie has never been into cars. That is.... until she saw the Modarri Toy Car. 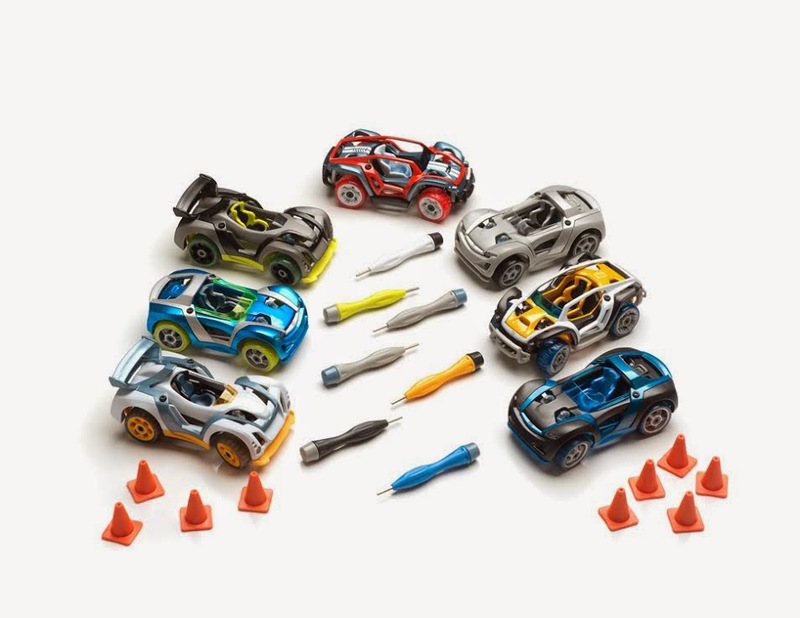 The toy car has truly been reinvented by the Thoughtfull Toys company. These are cool, sleek cars that can be finger-driven by children and adults alike. 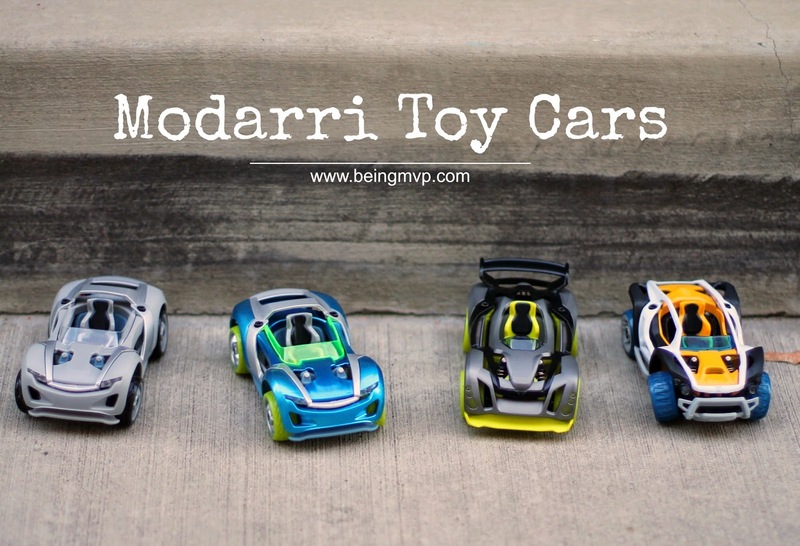 Modarri was named one of the best toys of Toy Fair and also a finalist for Best Toys at the American Specialty Toy Retailers Association in June - months before the vehicles were even manufactured! You know it's going to be a good thing when honors are being given before hitting the market. 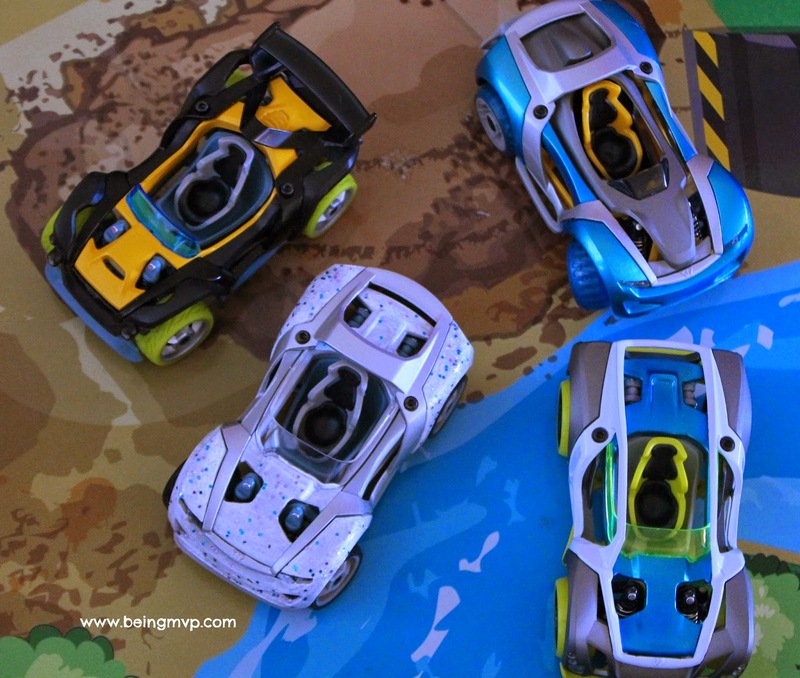 The line is launching with 4 designs including a DIY model which allows you to customize the vehicle with your own paint job. The vehicles are available for purchase individually which would be great as stocking stuffers or as a three-pack of the Street Car "S1", Dirt Car "X1" and Track Car "T1". The Hex Tool is included to take apart and reconfigure the vehicles. What's really neat is that there are no small screws that can become lost when configuring your car to your like. The tiny screws are retained within the toy so all you have to do is loosen and tighten with the Hex Tool! 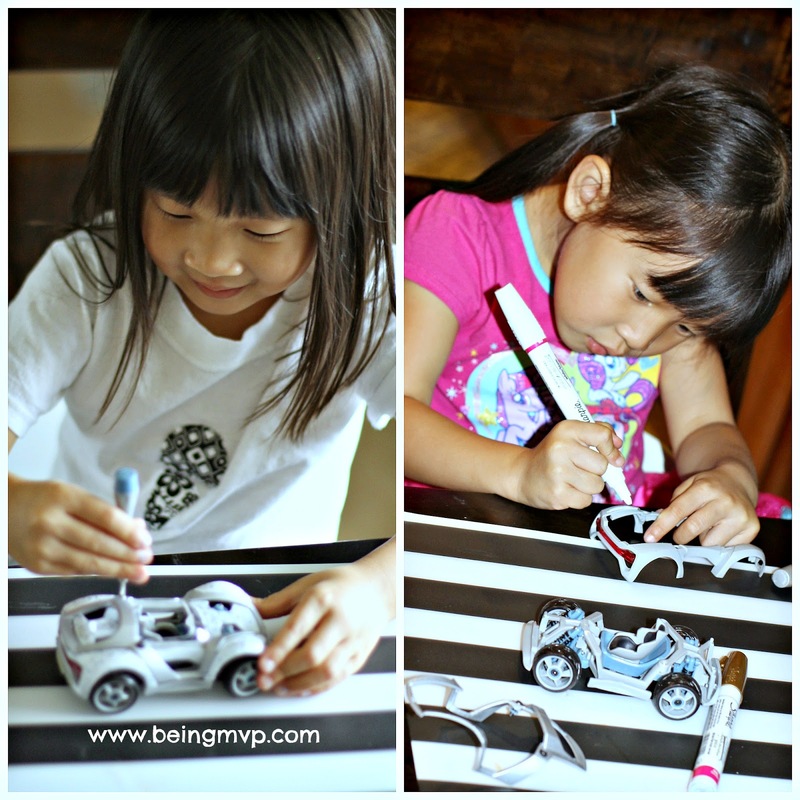 Kenzie had a kick changing up the cars (once I showed her how easy it was) and even putting her art skills to the test in painting her own custom Modarri car. While you can use acrylic paint, since she is still young, I decided that Sharpie Paint pens worked just as well. She even glammed it up with her Frozen glitter nail polish. Although Mason is too young to configure the cars, he can definitely play with these as they are well made and durable. Check out the action! One winner will Receive Choice of S1 Street Car, T1 Track Car, X1 Dirt Car or S1 DIY Car! My favorite is the T1 Track Car. What's most neat is the spoiler on the back! We like the S1 street car!! I love the X1 Dirt Car! My daughter likes the T1 Car and I think the colors are nice. We like the S1 street car, I like how you can take it apart and put it together. I love the DIY car most because of the creativity it encourages. Very cool! And I also love the interactive features Modarri offers (license plates, 3D printing, sharing/voting images). I think the car I would want, that is the most neat is the XI Dirt Car. Thanks!